Absolutely amazing, stunning, fantastic work once again Ynneadwraith. I always look forward to seeing what you do next. The young crow-girl gazed through her optics in awe. 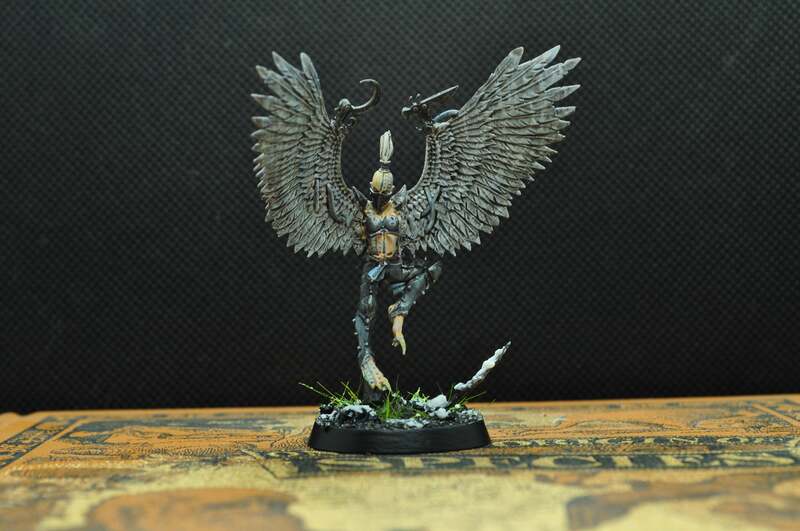 The valkyr was terrible and beautiful to behold, her bronzed skin and taut musculature visible 'neath radiant plumage. The polar opposite of her own wiry limbs. For a moment, she stood entranced...until the danger of her situation dawned upon her. "Yes, I have seen their ilk before," the Inquisitor intoned. 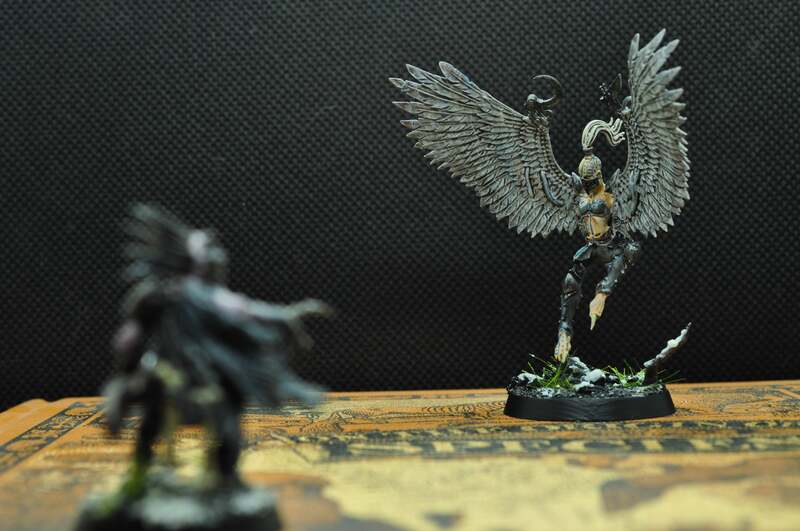 "The inhabitants of the Daedalus sector call them 'harpies', and righteously drive them from their spires. It surprises me little that the heathen natives here not only tolerate but positively revere these godless 'valkyr' tech-witches. Also also, has anyone spotted the new Delaques yet? 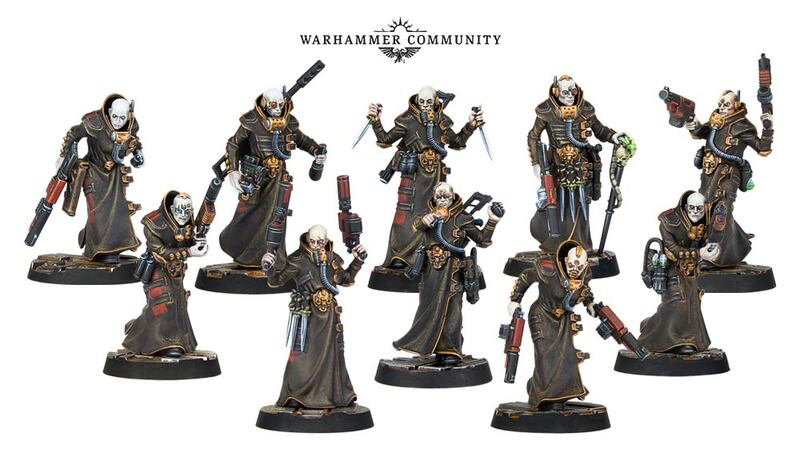 Sweet imperial saints they're cool already have some ideas I want to try out with them I was thinking the other day about how I wanted to revamp my Dokkalfar voidborn pirates and here these guys come, perfectly suited to the job! 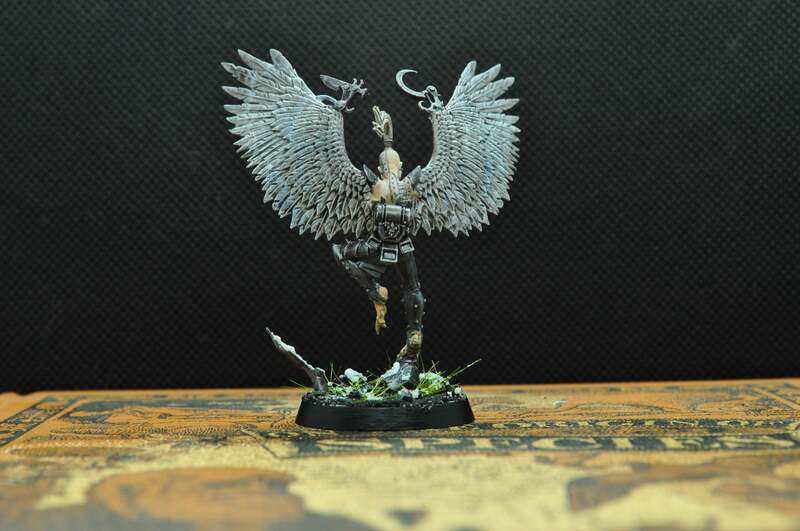 Now that is one gorgeous looking conversion, Ynnead. 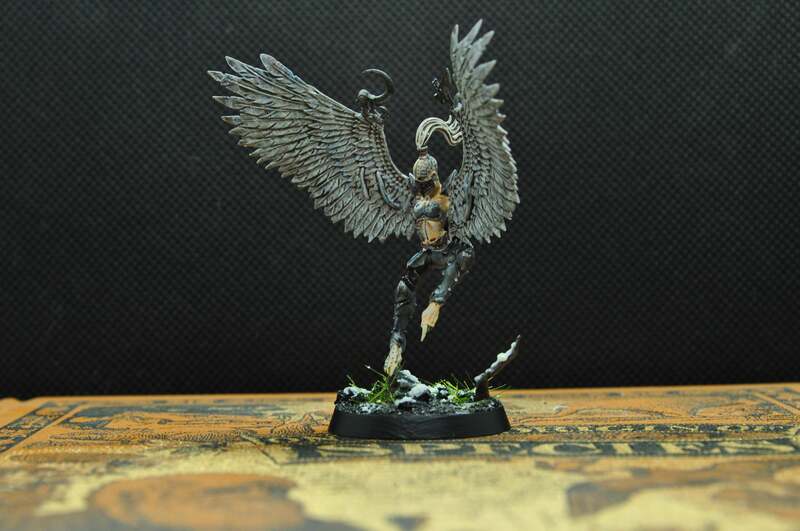 Love what you managed to do with the wings and well, the entire miniature! Really cool idea, hope the Valkyrs also get a band! An amazing piece, Bloke! actually went back and trolled through your previous works and man, you are improving leaps and bounds in your modeling and painting. Your writing, however, has'nt changed. It was perfect from the start... Pointy ears forever!! Thanks guys! I hadn't thought of doing a valkr band. I'll see what I can do! Udinn, One-eye. Late is the hour in which this charlatan chooses to appear. Mutant-kin I name you. Ill news is an ill guest. Silence, Harkr. He has earnt his worth. Speak, Longfang. What news of the wilds have you? What news do your stormcrows bring? I've heard some kaerls mutter that he's senile. Wasn't aware that could happen to astartes, but he certainly doesn't help himself playing god to his little crow-mutants. If he wasn't such a useful spymaster I expect he'd have been sent on his Last Hunt by now. You know, 'die with a sword in your hand'. That sort of thing. So yeah! 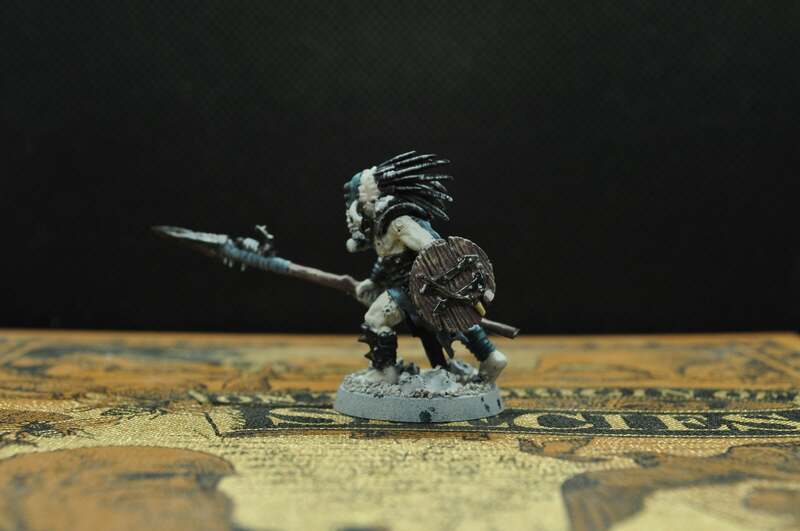 That's my take on Udinn, the Long Fang spymaster from way back at the start of this project it's taken quite a while to amass the bits I wanted for him, but I'm glad I waited for the right ones (the Deathbringer head was the only one that seemed to fit for me). I come by to see...I love what I see...makes me wish I had more time to model...thanks for showing your dudes, gives me strength to dream. Working 12 hour days off every other weekend ain't leaving me time to do, well, anything. So keep it up for my sanity. Well done! Oof that doesn't sound like any fun at all, but glad to see from your thread that you're down to just the one now! Each young crow must learn the ways of the gods. All are fickle and dangerous, even our own, but some are even moreso. 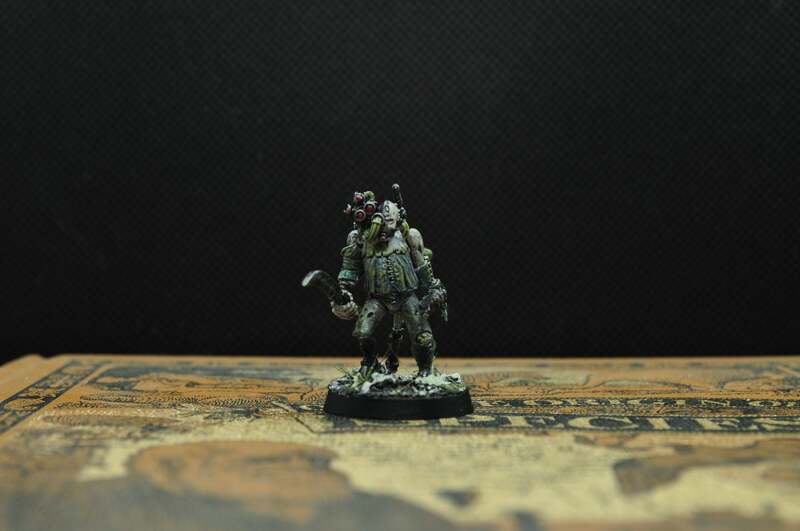 The Corpse-walkers are malevolent gods of the dead. Once mortal like the other gods, they sold their souls for the ability to transcend death. They now dwell in the nowhere-place between worlds, and are the only gods who can hunt a crow through death and into the afterlife. 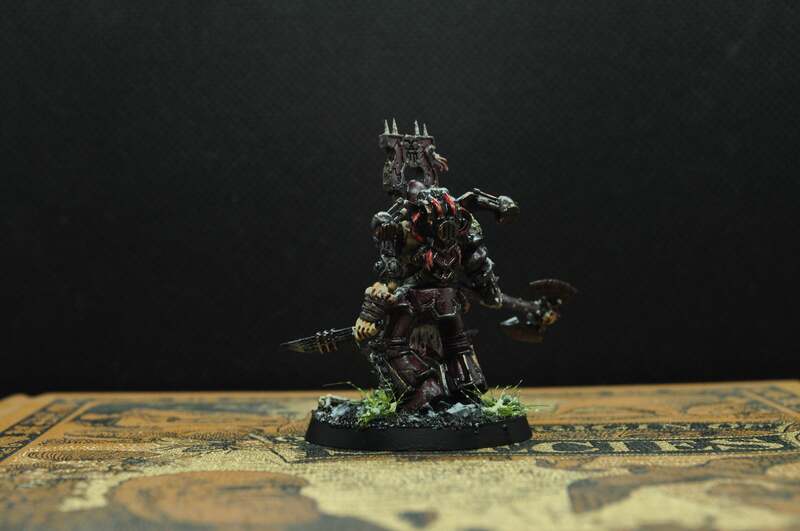 The Butcher-hounds are gods of slaughter. Their minds are consumed with the anger and hate of all living things. If you lock eyes with a Butcher-hound, there is nothing, no champion, no machine, no god, that can save you from a gruesome death. All that you touch will be slaughtered. The Flayed Men are gods of the void itself, and hunt in darkness. They stalk their prey across the stars, and create great tapestries from the hides of their victims. Once they have your scent, they will forever know where you are, no matter how far you run or how well you hide. These three we fear most of all. 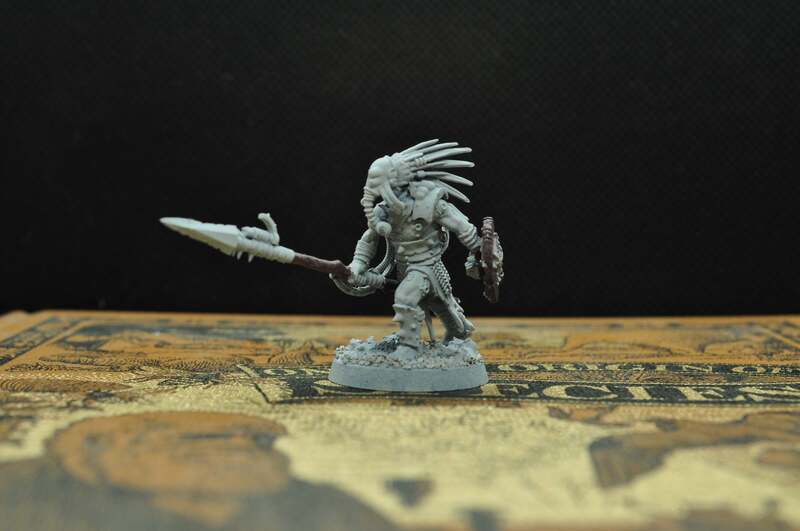 it's inspired somewhat by Bruticus' bare-torso'd Slaaneshi Marine, but I thought the idea would fit quite nicely for a Khorne Berserker given that the original berserkers were men that went into battle wearing nothing but animal skins (although that depiction of them has fallen out of favour). 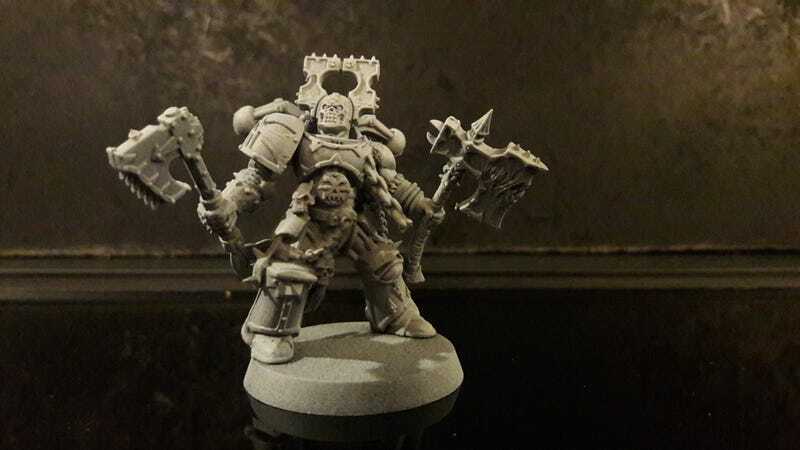 I'm quite glad that the heretic Astartes has turned out about a head bigger. 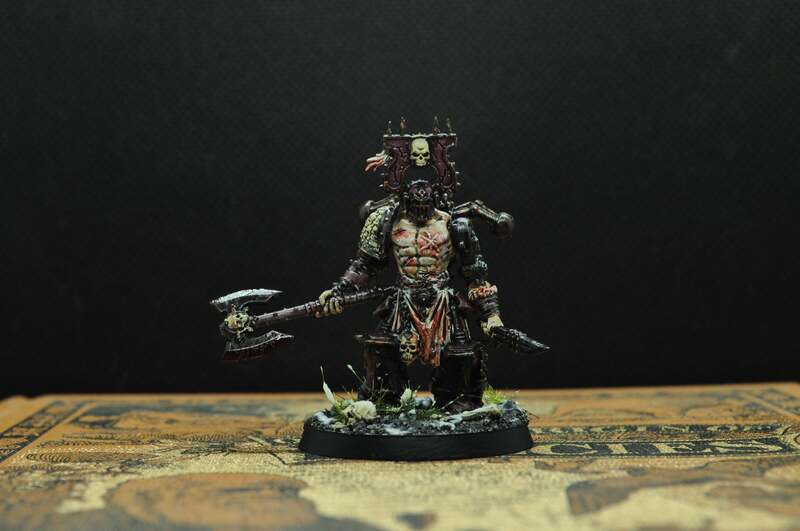 I've always quite liked the idea that Chaos Marines should be even tougher, nastier and deadlier than regular Marines. They are the same dudes, but infused with chaotic power after all they should be bigger and nastier. Holy cow, he's so freaking cool! The sore looking effect around the stitches and the base is phenominal. On top of the fact he is ripped. Just amazing! 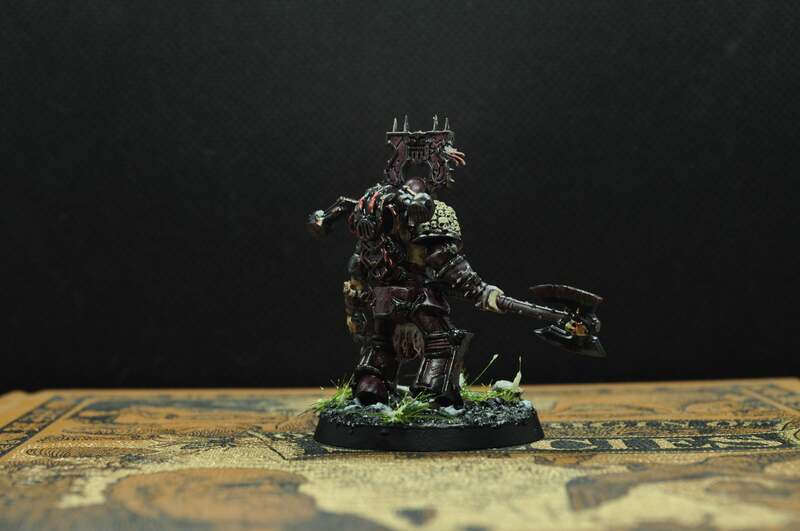 I love how you've taken an AOS berzerker look and completely immersed it into the world of 40k. I'm picturing Kharn after a fruitful day on the battlefield, power armour just smashed to pieces from combat, yet he just keeps on going. The energizer bunny of space marines. 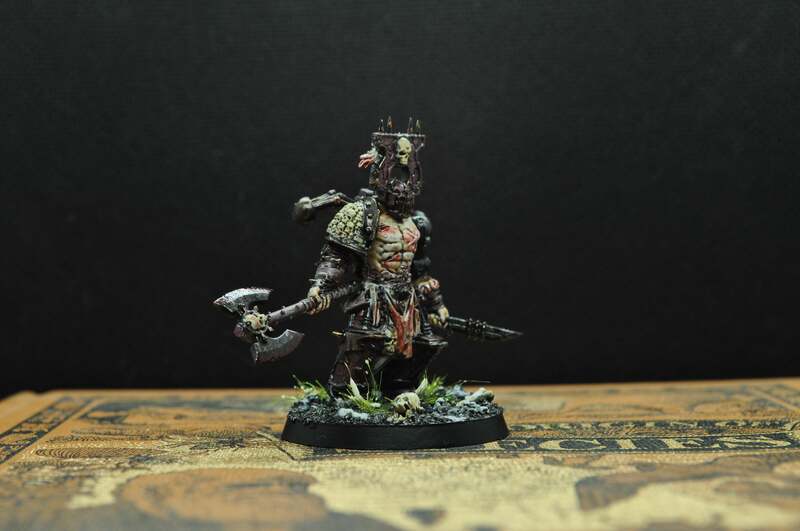 Now that's what I call a Bezerker! Kharn should be green with envy . Great work, Ynnead, he came out amazingly well. Love it. That band looks so great together! you've really got your theme down, they look great. Thanks guys! Really glad you like him yeah I can imagine him not stopping for anything, even after the battle's over! And lo, the mountain rose above the horizon as a bleak and forbidding tower. Smoke bellowed from its summit, and the fearsome sound of industry echoed through the hills. The home of Fafnir, wyrm of the north, was terrible to behold. There he lurks, jealous and protective of his horde. Those who fail to escape his clutches are brought beneath his thrall. Wyrmwights we call them. Their minds replaced with metal, they are nothing but slaves to the great dragon now. "Stop Haaric...STOP! You know what happens to those taken by the Wyrm. They walk, they talk but they're dead Haaric. He's a wyrmwight now." Ooh, creepy servitors enthralled by a great dragon creature? Sounds really cool to me! 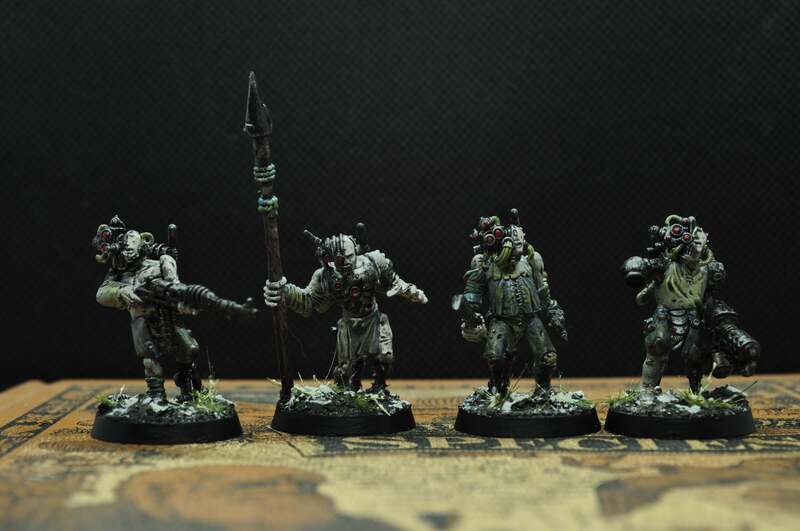 I love these conversions, and each of them has so much personality on their own. Great work, Ynnead! Thanks dude glad you like them! A while back I mentioned I'd do a little how-to on my painting style on the next crow...and now many crows later I've finally done one! Step 1 is priming (ignore the browns for now). 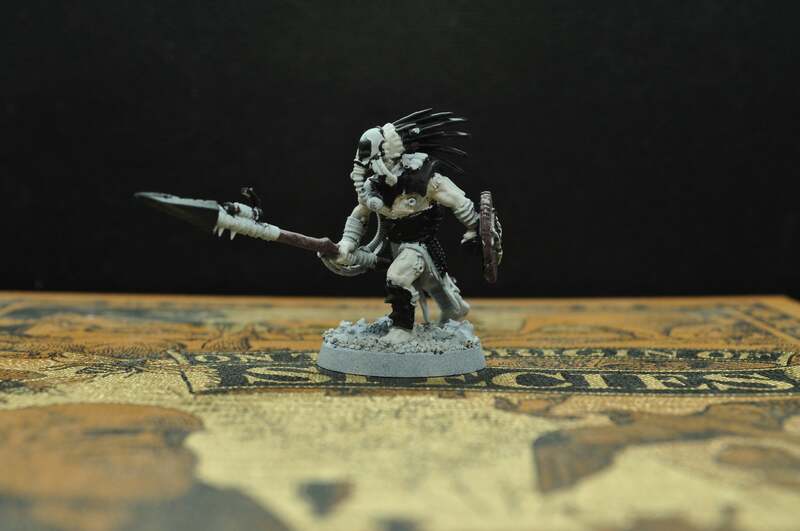 I tend to prime in white as a bit of a relic of learning to paint with eldar. Plus, it's easier to get lighter colours to work, especially those with poor coverage. Step 2 is to block out the base colours that are straight out of the pot. 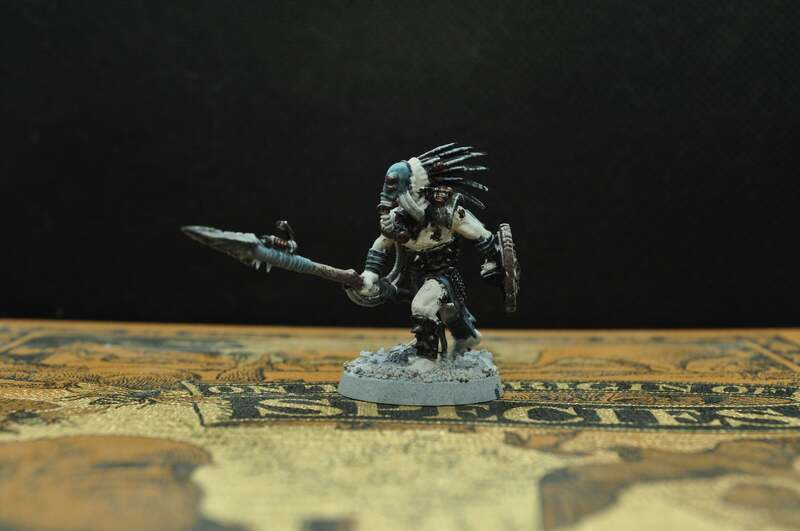 For these guys that's Abaddon Black for the metal and quills, Pallid Wych Flesh for the skin, and Ushabti Bone for any bones (none on this guy). No need to be particularly neat with this step as you can touch stuff up later. Step 3 is to mix up some colours for the cloth and wood/leather. Each colour gets maybe one or two uses on a model before mixing a new one, which helps get some variety into a limited-palette model. 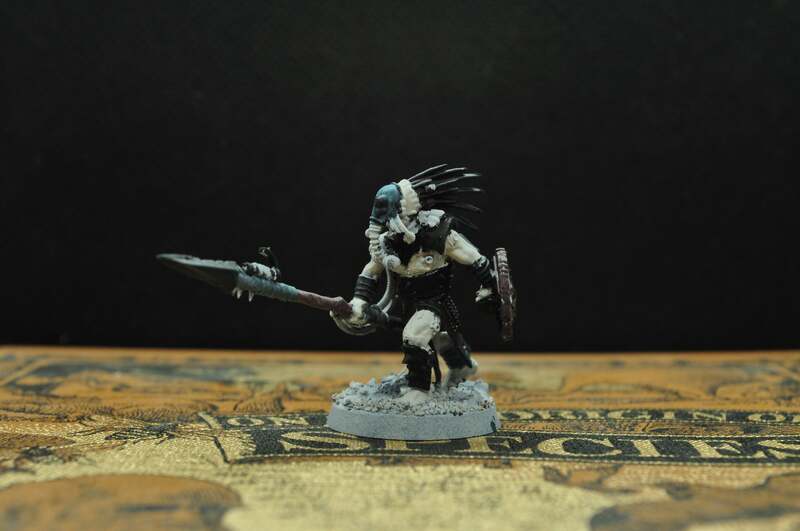 I tend to start with a mix of Abaddon Black and Fenrisian Grey to make a cold grey, and then gradually add different blues and greens into the mix to get varied colours. Step 4 is to roughly drybrush some highlights onto the metal, cloth, wood and leather. The aim here is to be a bit rough and streaky, picking out high points and adding texture. Steel gets Leadbelcher. Blues, greens and greys get Fenrisian Grey. Browns get Ushabti Bone. Quills get Pallid Wych Flesh. Step 5 is to add in any little embellisment colours, like Warplock Bronze on trinkets and fittings, Wazdakka Red on lenses, and Administratum Grey on hoses. Now's the time to touch up any messy bits. Hopefully by doing the unmixed colours first you should only have to touch up straight from the pot. If you do have to touch up mixed colours, don't fret too much about the colour match. It's rarely noticeable unless it's way out. Step 6 is washes. Fairly liberal Nuln Oil Gloss wash over everything but the skin, which helps blend in the rough drybrushing a bit and pick out the highlights. 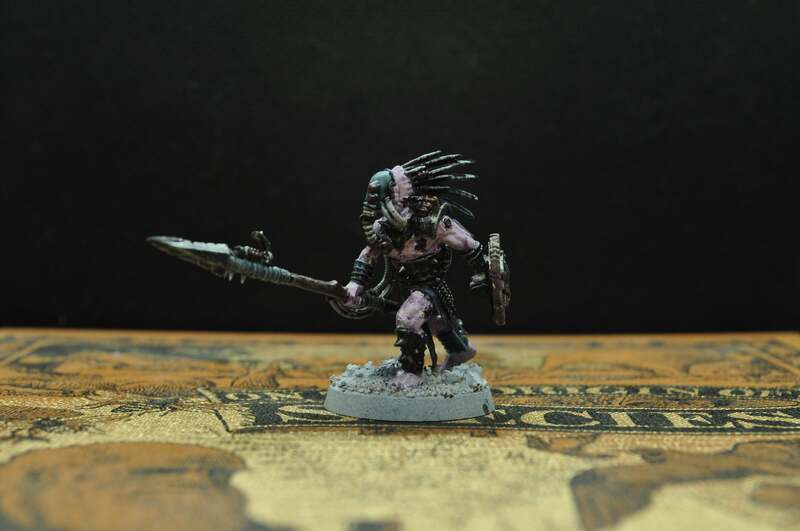 The skin gets a lighter wash of Druchii Violet. 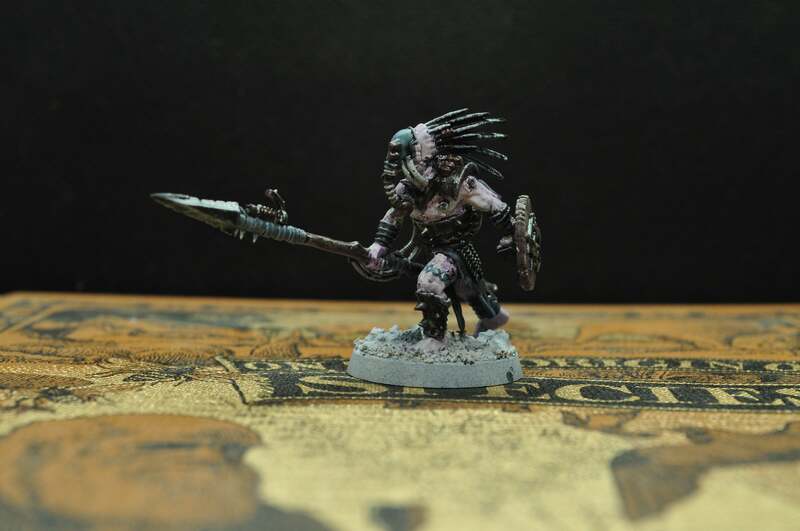 Step 7 involves re-drybrushing the skin with Pallid Wych Flesh, adding some freehand tattoos and then doing another very light drybrush of your skintone over the tattoos to help them look worn in. All-in, there's probably only 15 or so colours in all of my models, just in different combinations and mixes, so it's cheap too! Very well done "how too", most excellent. It helps even old dogs like me get fresh ideas. I always enjoy seeing your blog. 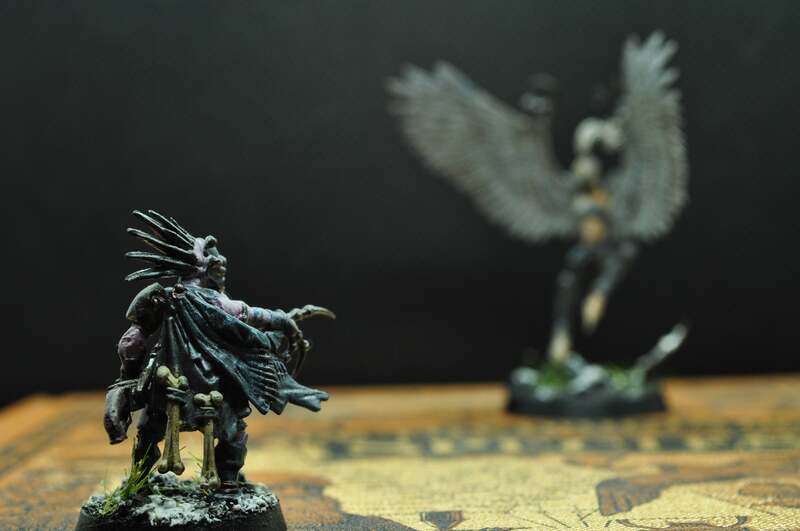 Love the tutorial, Ynneadwraith, I'm sure many would-be crows will be mustering mighty war bands with this tutorial ! 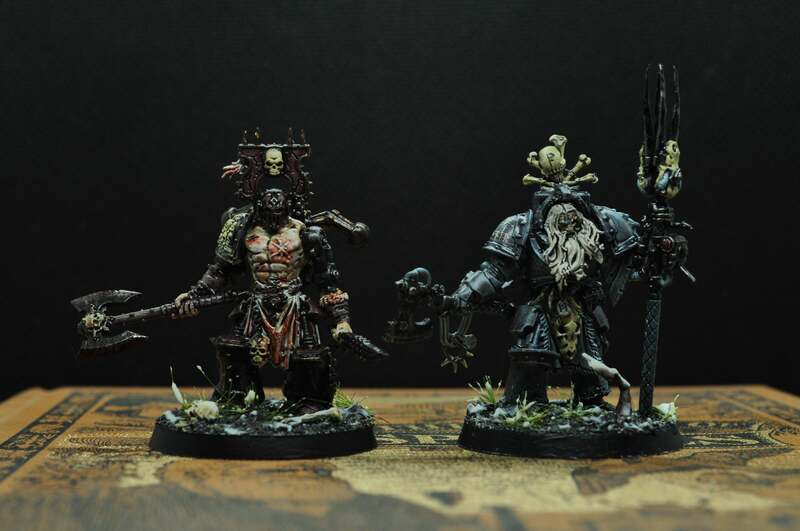 Yeah these are some of the most amazing conversions I’ve ever seen! Outstanding work Ynneadwraith. Great How To guide Ynnead. Some useful tips and tricks for everyone. 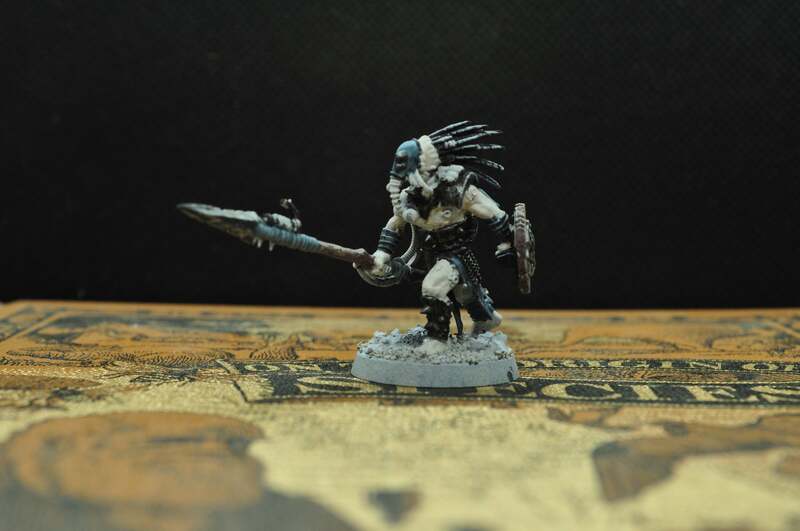 I love this new batch of minis. The tattoo work on Udinn's war band is particularly good. Such a good style and so well executed. Great work bud.